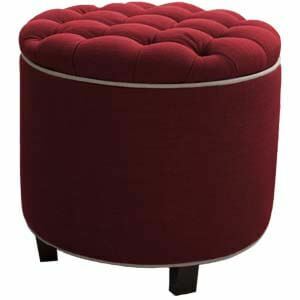 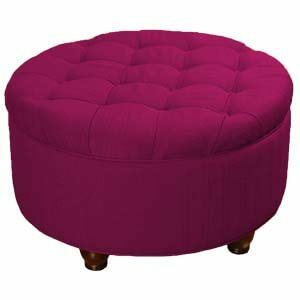 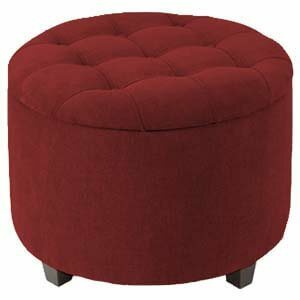 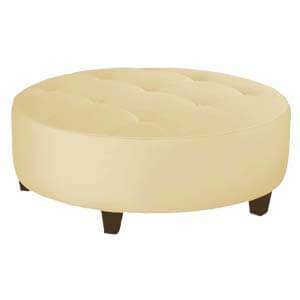 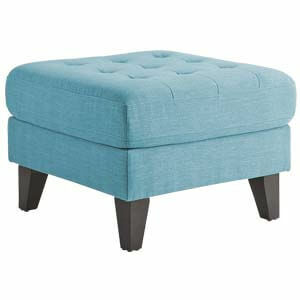 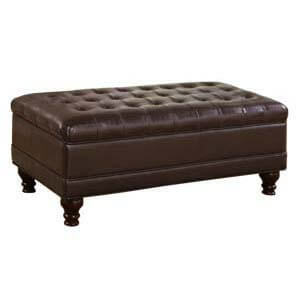 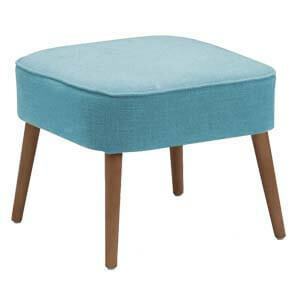 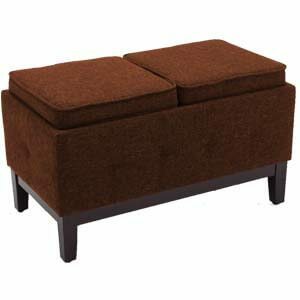 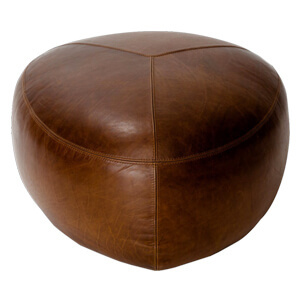 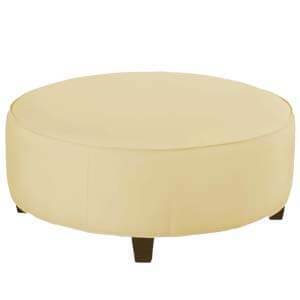 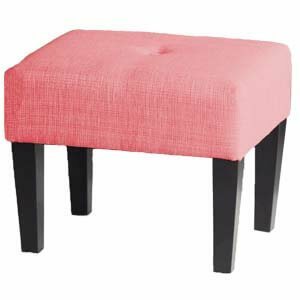 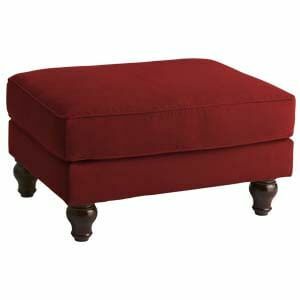 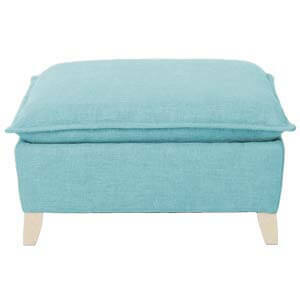 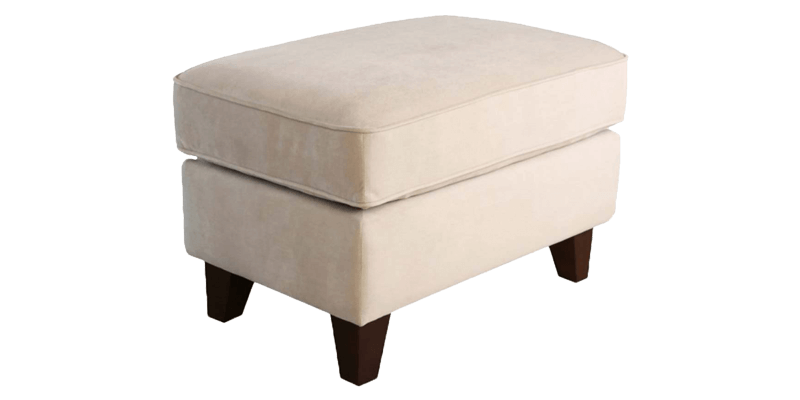 Sleek and simple, this transitional style rectangular ottoman is a must have for small homes. 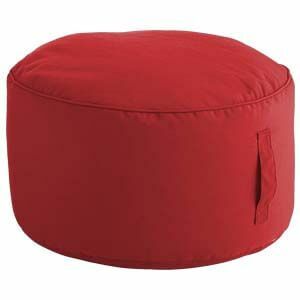 Its compact dimensions and shape makes it easy to place it in tight spaces. 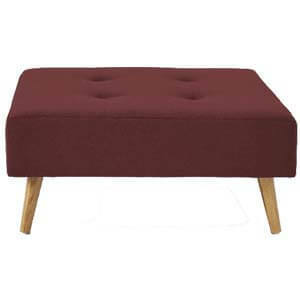 Features plush top and down cushions complemented by edge piping and tapered legs.